Stuck for a Halloween costume, or just looking for an unusual way to terrify the neighborhood kids who come to your door? We got you covered. 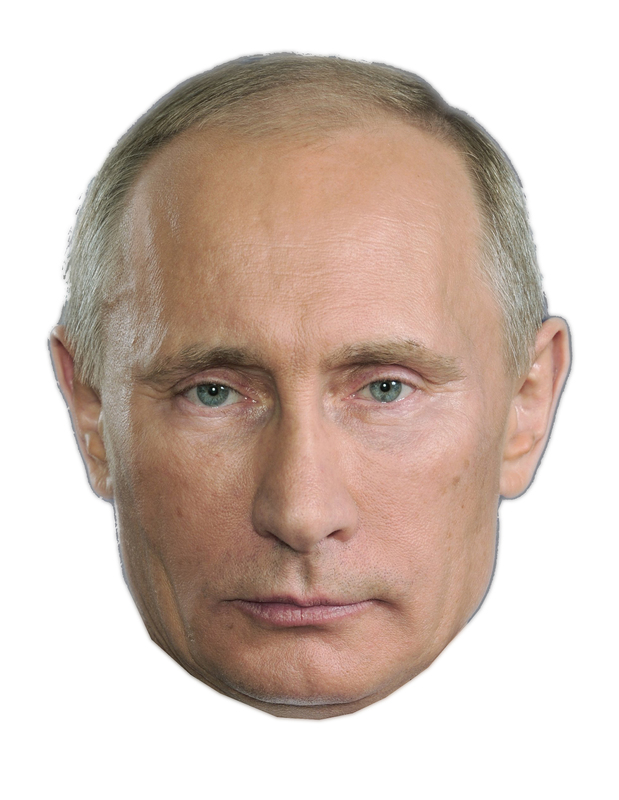 See below links for a file to download to make a Putin or other mask. Click image below to download mask. Print out on color printer on heavy paper or lightweight card stock. Use scissors to cut away the white parts around the head. Cut out the eyes, or punch a hole where the pupils are.